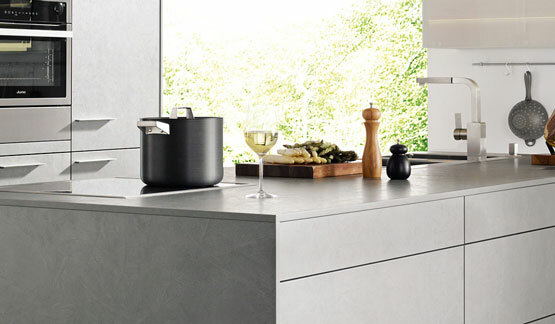 Your kitchen worktop is a place of regular activity and is designed to withstand the rigours of daily life, while adding a sleek finishing touch to the design of your new kitchen. Our experienced team at Kitchen Discount Grimsby is on hand to help you choose the ideal material to accompany the best kitchen cabinets from the Schüller range. 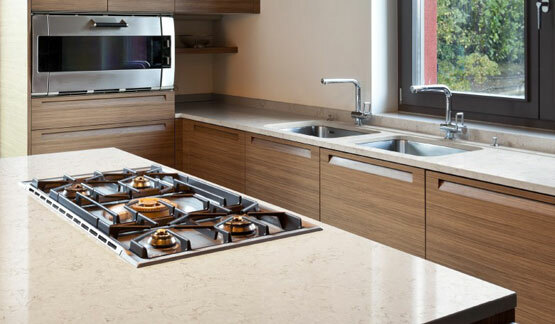 Choose the ideal worktop for your home, we offer a wide range of finishes from renowned brands including Silestone Quartz, Schüller and Duropal. Your worktop can really make a statement in your new kitchen, so we take care to ensure a great fit and seamless finish with back panelling that either blends perfectly, or contrasts with the worktop to suit your taste. No matter the size or shape of your kitchen, we can mould and fit your new worktop to suit the quirks and curves of your home. You can trust our experienced team to create the perfect blend between the worktop, your new kitchen and your home. Your kitchen worktops are an important part of your kitchen design, and should reflect the quality of your kitchen cabinets while adding a touch of style to suit your home.